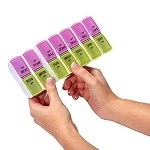 Medication Reminders help caregiver manage medications for a person with Parkinson's. 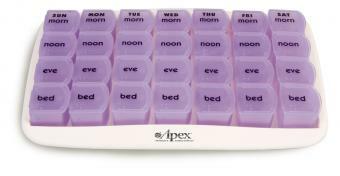 Medication Reminders help people with Parkinson's take their medications on the right schedule. 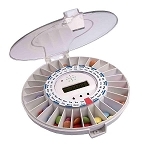 Weekly pill boxes can be used to make sure the correct medication has been taken at the correct time. Colored boxes can be used for different times of the day. 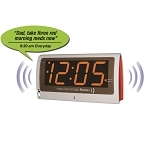 Electronic medication reminders including watches and alarms make a sound or vibrate at a set time to take medications. Devices that cut pills in half are helpful for dividing pills that are double the dosage needed. Medication reminder systems may be simple or elaborate. An occupational therapist can help caregivers develop a system that works for the individual based on their needs and home environment.